This isn’t a photo post – let’s talk about waste. I don’t think it matters that I’ve been off blogging for a while. There’s so many social media outlets and it fluctuates as to which I use. As it says above, this is not a photo post today, but more of an online thought diary. I don’t want to appear like I’m preaching or anything, I’ve just gotten fired up about something different today so had to share it. This month I’m trying to cut down plastic consumption. This is a major problem with our society at the moment and it’s something we are all guilty of giving into! But, I am ever optimistic, and reading about zero waste lifestyles has inspired me to make some changes. Cutting down plastic consumption is similar to zero waste lifestyle as most other materials and packing is recyclable. Food waste is something that already makes me seethe so I don’t do that, but I am guilty of buying foods wrapped in plastic, and this is where I need to change. Anyway back to the plastic. I feel guilty when I think about what I’ve contributed to plastic pollution and landfill. I’ve seen first hand how plastic pollution in the ocean kills marine life, and have spent dives hacking at masses of fishing line tangled around masses of starfish and mussels, some which can’t be helped. In other places within the green turtle’s range, I’ve watched plastic bags float along gently masquerading as jellyfish, and though I can pick up any I see, I know there will always be more. 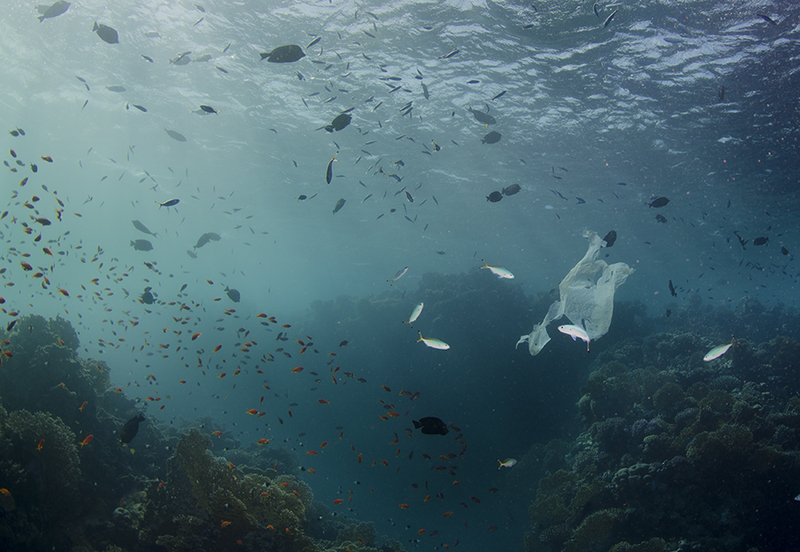 It’s probably a weekly basis now that I read something about more marine life that is being killed to do plastic floating about in gyres in the ocean, of whales with stomachs full of rubbish, and of course not forgetting Chris Jordan’s striking film work, ‘Midway’. (if you haven’t seen this yet, seriously do watch it). I don’t think I need to list any more reasons why we all need to cut down plastic really. It’s a bit of a wake up call. And I’d forgotten about it. But I will try remember, and steer clear from the unnecessary packaging where possible. It’s a challenge yes, but I’m looking forward to trying to break away from this habit. The more I research about these things the more I feel guilty and thats my personal way of changing my lifestyle to one I’m happier with. Learning about how animals were farmed stopped me from eating them, and discovering more about the fishing industry, and that fish are full of plastic, helped me cut that out, so immersing myself in plastic pollution research I’m going to try and use the same technique to reduce my own plastic waste. There’s a few moral dilemmas, I’m still debating about local vs organic vs no plastic. It appears that you can’t get all three in many cases, so I need to do some research on that one this week. I’m going to attempt to make my own toothpaste as soon as my current tube has run out, likewise with shampoo. Its worth a try and will also save money! I’m pretty sceptical about making my own effective deodorant, and I’m a pretty active person, so I would like to have one that worked.. Again, this is just something I’ll have to look into further and experiment with. Reducing is the first stage before eliminating, if that is going to be possible. It’s all small steps! This is important to remember. Here’s some links to people and posts that inspired me recently..